Undergraduate Courses The Botany Department contributes to two moderatorship degree courses, Botany and Environmental Sciences, which can be taken in the final 2 years of the Biological and Biomedical Sciences programme (TR060). Botany Botany is the study of plants which are the source of the food we eat, the oxygen we breathe, most of the medicines we use, and the timbers and fibre which shelter, warm and clothe us. Plants are the core to understanding one of the greatest issues of our time – global climate change. In Trinity we specialise in the study of the evolution, genetics, ecophysiology, vegetation structure, history and dynamics, sustainability and conservation of all forms of plant life. Environmental Sciences Environmental Sciences is by its nature a multidisciplinary research discipline – a study of the interactions between the biological, chemical and physical components of our environment. Environmental scientists have training that is similar to other physical or life scientists, but is specifically applied to the environment. Obtaining ample field experience is therefore a key component of the course. A broad scientific knowledge is required which may also involve an understanding of economics, law and the social sciences. Funding & Scholarships General information on the various financial options open to Trinity students, including education grants, loans, and scholarships. Some of these options are open to all students, whereas some will have restrictions based on your EU/Non-EU status, course of study, and similar. Laidlaw Undergraduate Research and Leadership Programme The Laidlaw Undergraduate Research and Leadership Programme is an innovative scholarship designed to help undergraduate students from all disciplines and walks of life to develop strong research and leadership skills which will allow them to excel in both their degree programmes and their careers. Are you ambitious, self-motivated and keen to grow academically and personally beyond the classroom? 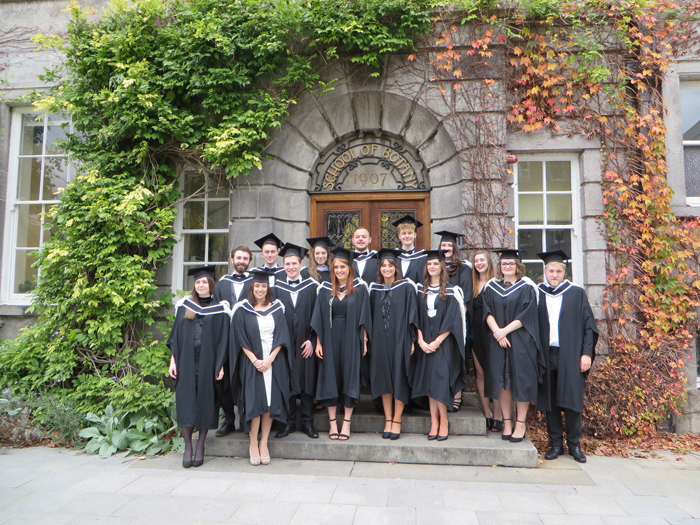 You could be one of the first Laidlaw Scholars at Trinity!